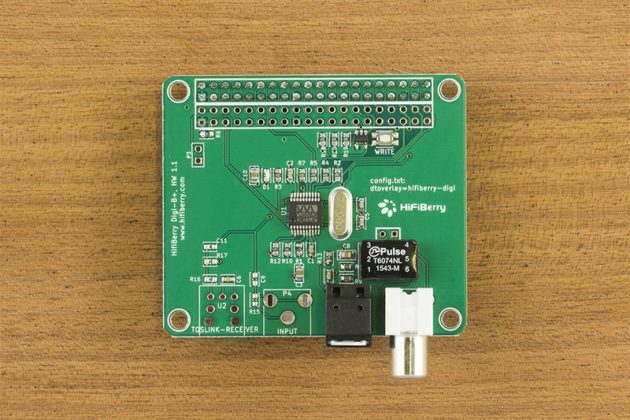 The HiFiBerry Digi+ is a high-quality S/PDIF output board for the Raspberry Pi. 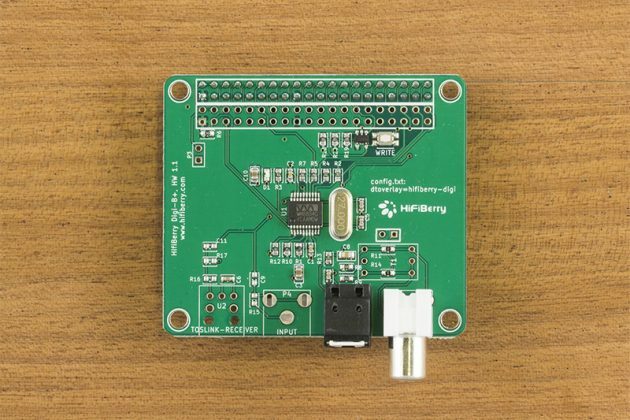 It comes in three different versions, compatible with different Raspberry Pis. The dedicated S/PDIF interface chip supports up to 192kHz/24bit resolution. 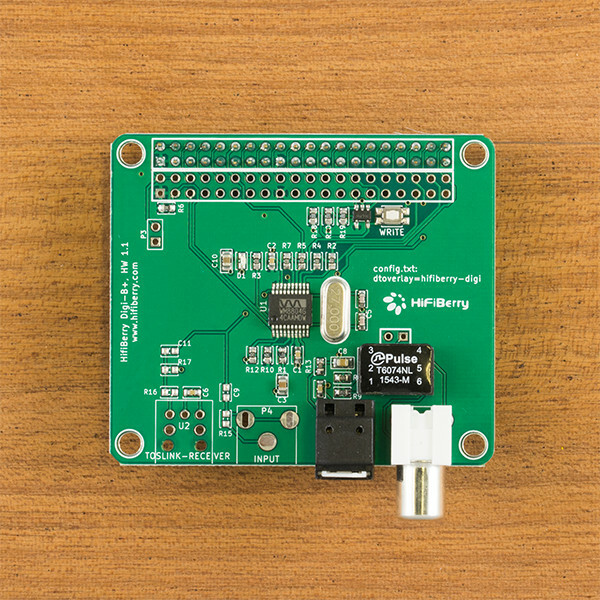 The right board if you plan to use your HiFiBerry Digi+ with the electrical output and need full galvanic isolation. The digital interface for the audio enthusiast. Features a low-noise power regulator and dual-domain clock generator. The output transformer provides a full galvanic isolation between the Raspberry Pi and your DAC on the electrical output. Usual consumer-grade SPDIF outputs do not use output transformers. Usually this works without problems. However, many audio enthusiasts like to use this option. If you’re not sure, the standard version is most likely sufficient for you. Note that the output transformer is shielded. To make sure the shielding works, your DAC needs to be grounded. If you’re unsure, we recommend the standard version.